One of the key events of the innovative and forward looking Unsound Festival New York, LA-based dark ambient overload joins forces with Norwegian electronic music pioneer Biosphere for the world premiere of the Unsound-commissioned piece TRINTY. TRINTY explores the first tests of nuclear weapons in the New Mexico desert. 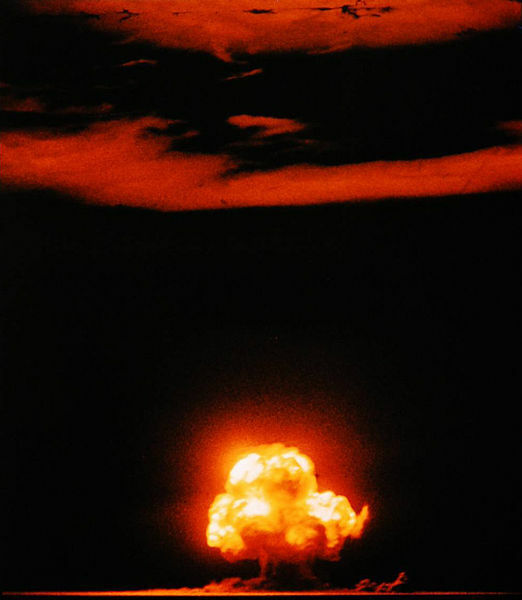 Lustmord and Biosphere are also fully involvement in the development of visuals for TRINITY, which includes footage shot by filmmaker Matthew Betlej in New Mexico along with archival materials of nuclear weapon tests. These raw materials will be assembled into a visual presentation by Berlin-based video artist MFO, who has already worked with the likes of Kode9, Shackleton, Oni Ayhun and more. Powered by WordPress v 3.9.27. Page in 0.177 seconds.